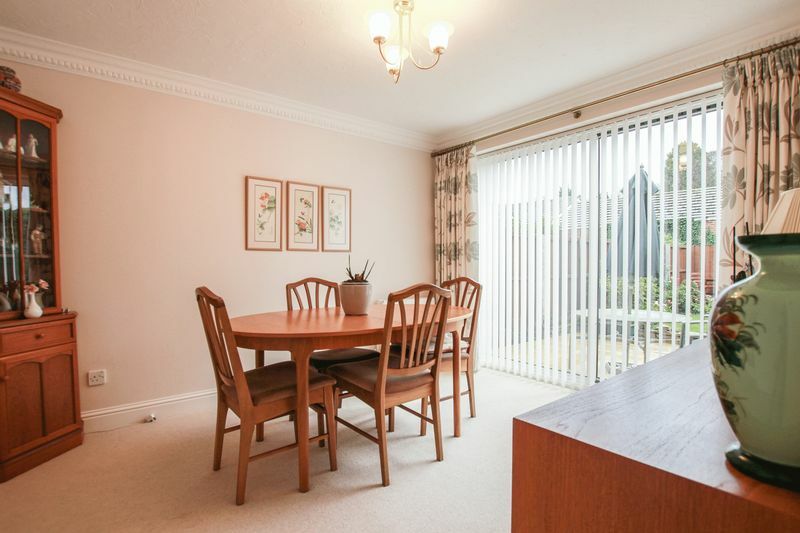 Situated on this highly sought after residential development and occupying a South facing aspect, a superbly presented four bedroomed detached home being ideal for the growing family. The property benefits from gas central heating, uPVC double glazing, PVC soffits and fascias, plastic dry verging and security system. 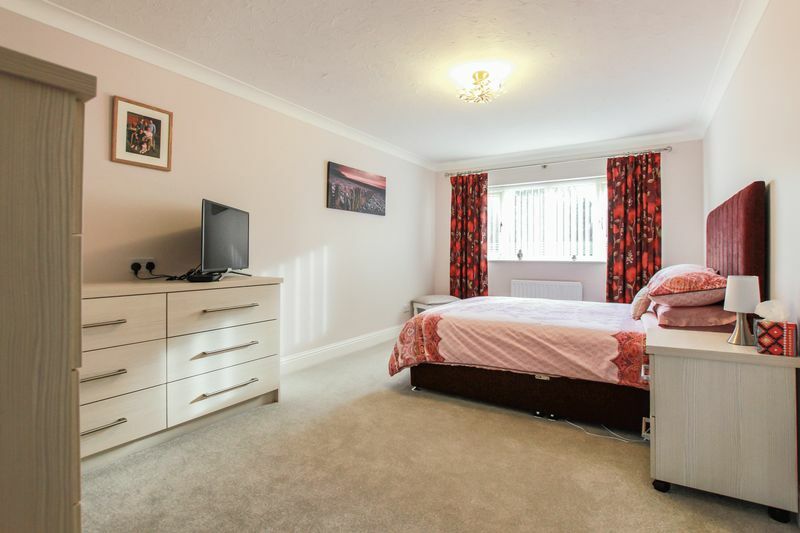 Tastefully decorated in neutral tones, the accommodation prinicipally comprises; entrance hall, cloak / WC, living room, dining room, family room, fitted kitchen / breakfast area and utility. To the first floor; master bedroom with dressing room and luxury en suite, three further bedrooms and family bathroom / WC. 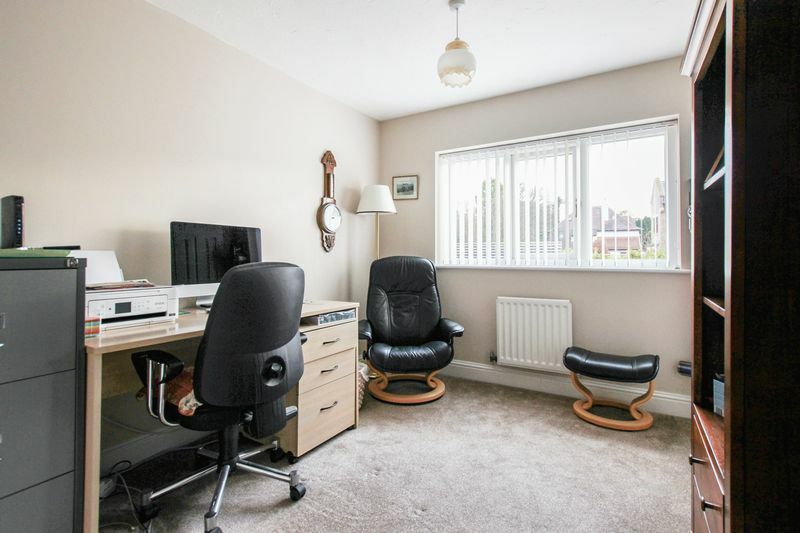 Externally; double garage, front garden and worthy of particular mention is the well planned rear garden which is not directly overlooked and enjoys a South facing aspect. 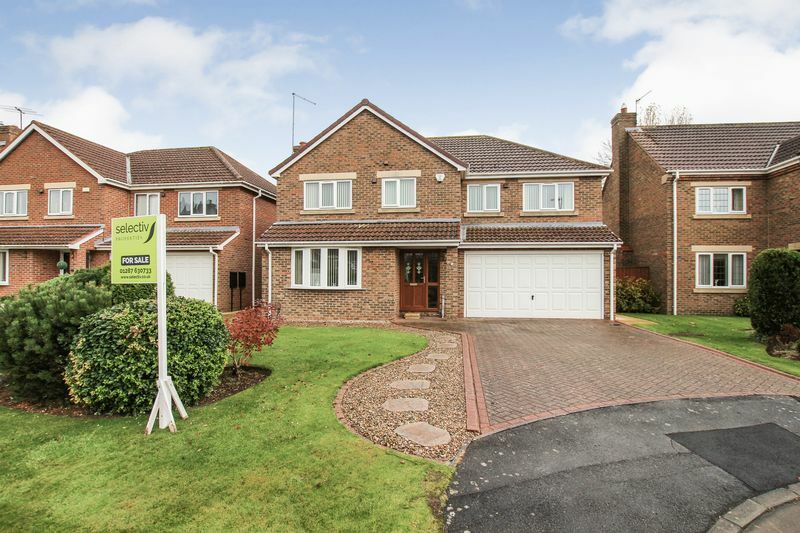 Situated on this highly sought after residential development and occupying a South facing aspect, a superbly presented four bedroomed detached home being ideal for the growing family. The property benefits from gas central heating, uPVC double glazing, PVC soffits and fascias, plastic dry verging and security system. 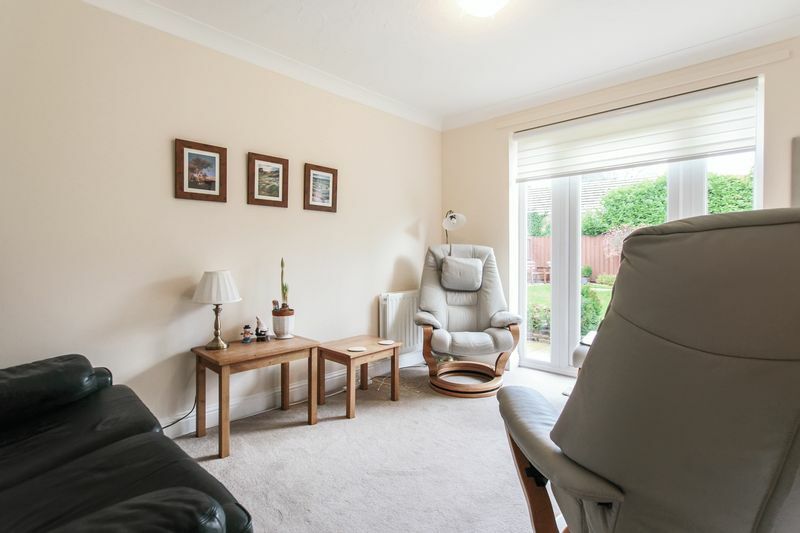 Tastefully decorated in neutral tones, the accommodation prinicipally comprises; entrance hall, cloak / WC, living room, dining room, family room, fitted kitchen / breakfast area and utility. 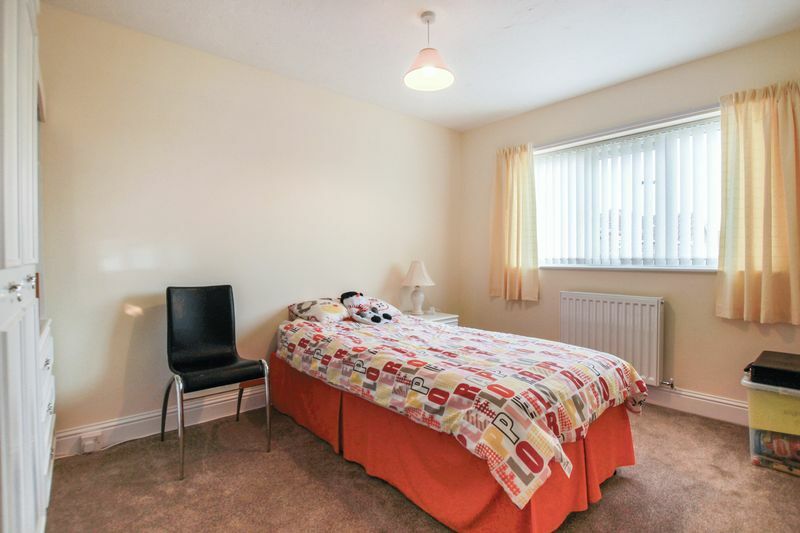 To the first floor; master bedroom with en suite, three further bedrooms and family bathroom / WC. 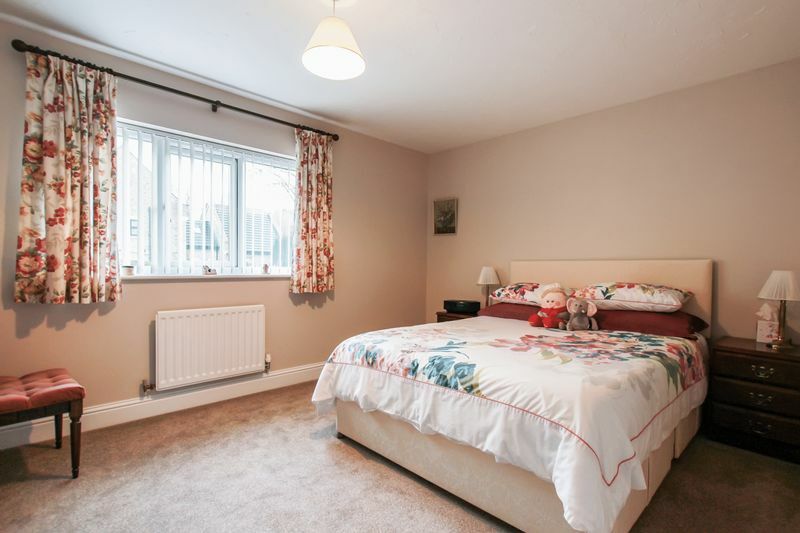 Externally; double garage, front garden and worthy of particular mention is the well planned rear garden which is not directly overlooked and enjoys a South facing aspect. Entrance door to the front with adjacent double glazed side window. 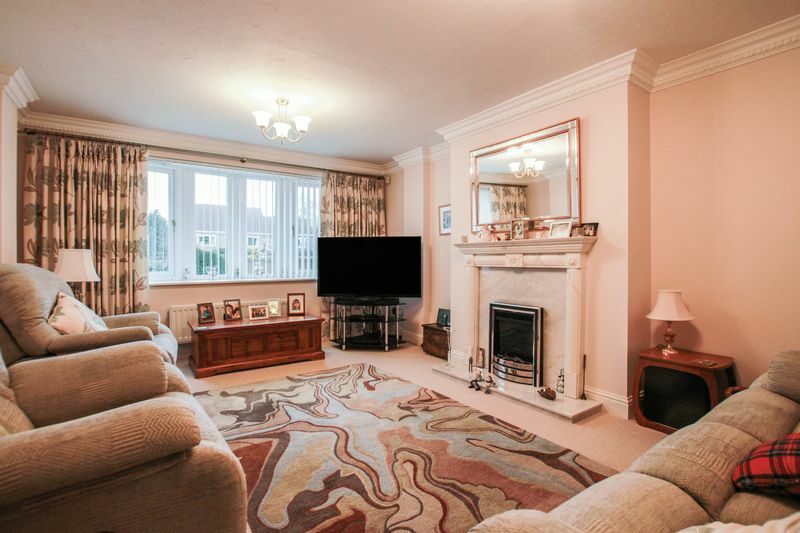 Double radiator, coved ceiling and attractive spindle staircase to first floor. 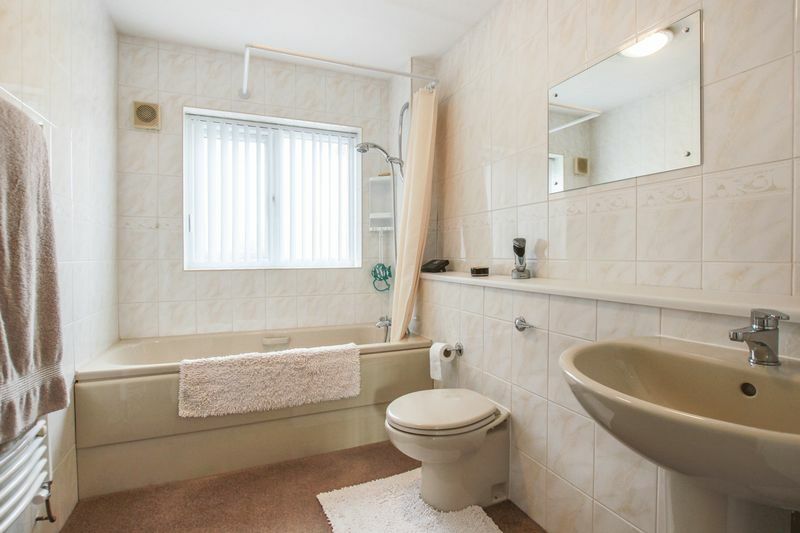 Modern white suite comprising low flush WC and wash hand basin with mixer tap. Half tiled walls, extractor unit and radiator. uPVC double glazed bow window to the front, modern fire surround incorporating electric flame effect fire with marble inset and hearth. Two double radiators and coved ceiling. Double doors to dining room. Patio doors to the rear garden, double radiator and coved ceiling. uPVC double glazed door with adjacent uPVC double glazed windows to the rear garden giving a good degree of natural light. Double radiator and coved ceiling. Modern and extensive range of white wall, base and drawer units finished with distinctive high gloss work tops and coordinating tiled surrounds. One and half bowl stainless steel inset sink unit with mixer tap, built in stainless steel electric oven, built in stainless steel microwave and induction hob with stainless steel chimney hood over. 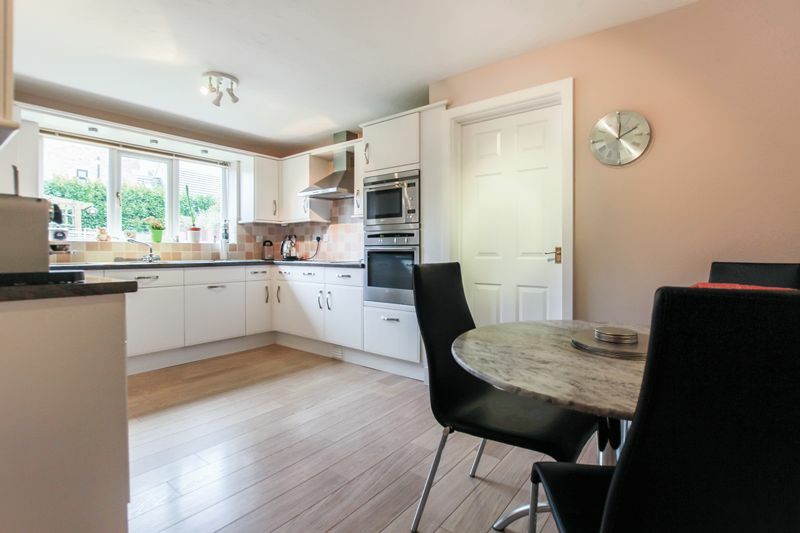 Integrated dishwasher, integrated fridge, laminate flooring, double radiator and uPVC double glazed window to the rear. 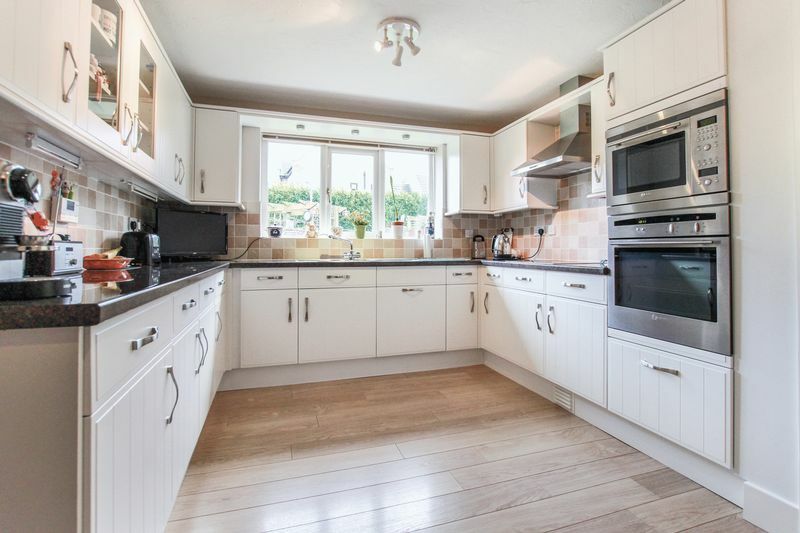 Space for upright fridge freezer, vent for tumble dryer, plumbing for a washing machine and stainless steel inset sink unit with mixer tap. Double radiator and uPVC double glazed door and window to the side, courtesy door to garage. Airing cupboard housing the pressurised tank. Loft access and coved ceiling. uPVC double glazed window to the rear, radiator and coved ceiling. Range of fitted drawer units with two matching bedside cabinets. Opening to dressing room. 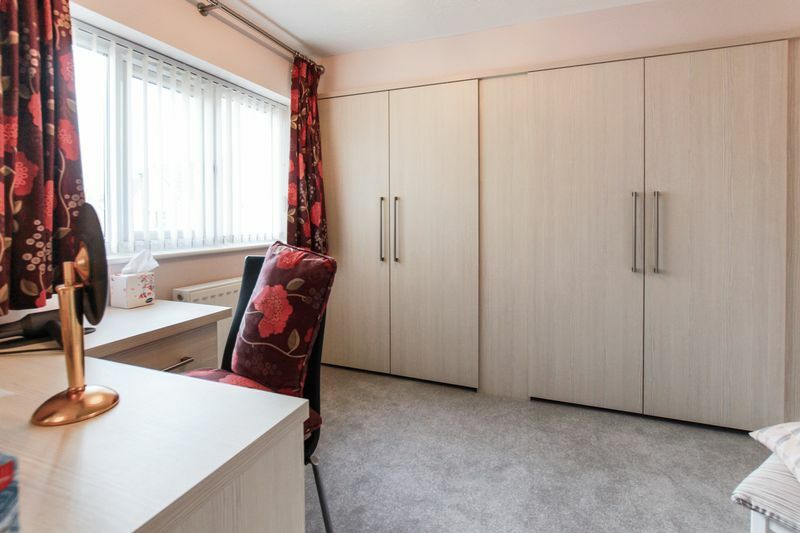 Modern wall to wall fitted wardrobes, fitted dressing table incorporating drawers and storage space. uPVC double glazed window to the front, and double radiator. 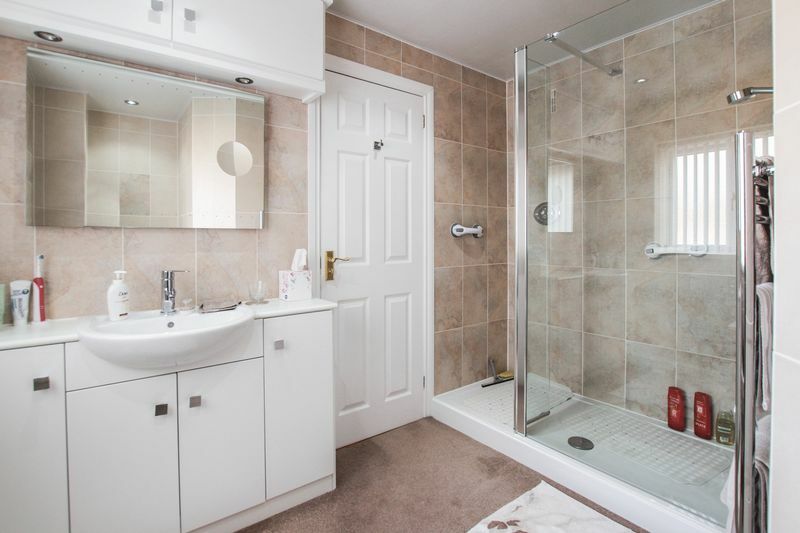 Modern and stylish white suite comprising double shower enclosure with tiled surrounds, push button WC, and vanity wash hand basin with mixer tap and cupboard under and matching over head units. Fashionable PVC clad ceiling with LED down lights. Chrome effect heated towel rail / radiator, extractor unit and uPVC double glazed window to the front. uPVC double glazed window to the rear, built in wardrobe, and radiator. uPVC double glazed window to the rear, built in wardrobe and radiator. Suite comprising panel bath with mixer tap and shower attachment, pedestal wash hand basin and low flush WC. Tiled walls, shaver point, extractor unit and uPVC double glazed window to the front. Block paved double drive leading to integral double garage. Up and over door, power and light. Gas central heating boiler. Lawned front garden with attractive borders to the front. 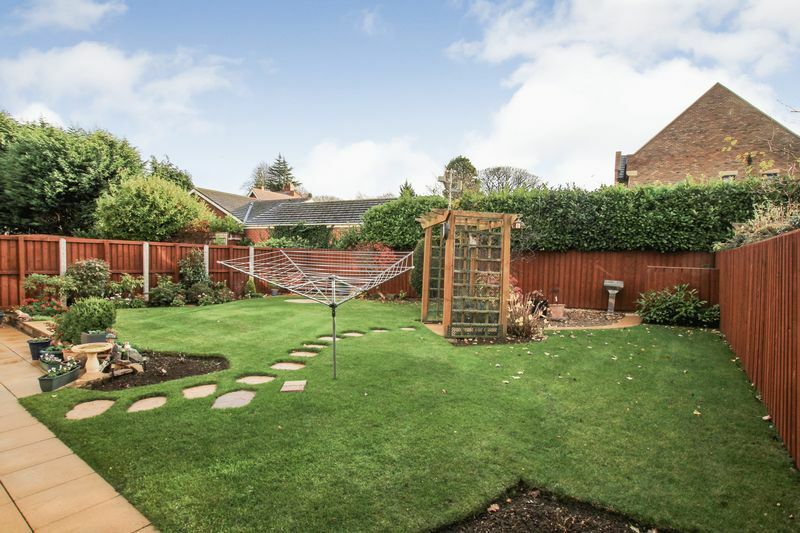 Worthy of particular mention is the beautifully tendered South facing rear garden which begins with an extensive patio area extending to the well cared for lawn having attractive borders, pergola and additional seating, making the most of Sun light hours. 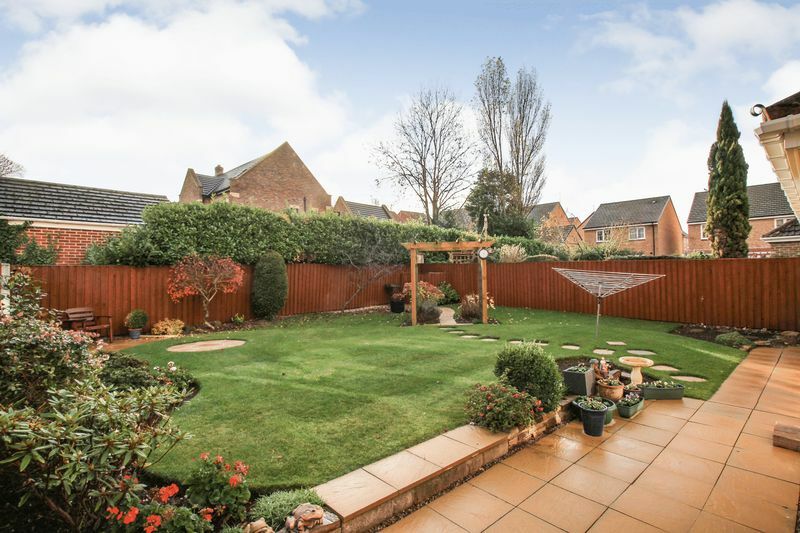 The garden further boasts side access gate, cold water tap and useful side service area.